Mom’s apple pie is a dessert that nobody turns down. This recipe adds some non-traditional spices that remind me of a Swedish dessert—the secret ingredients are lavender and cardamom. 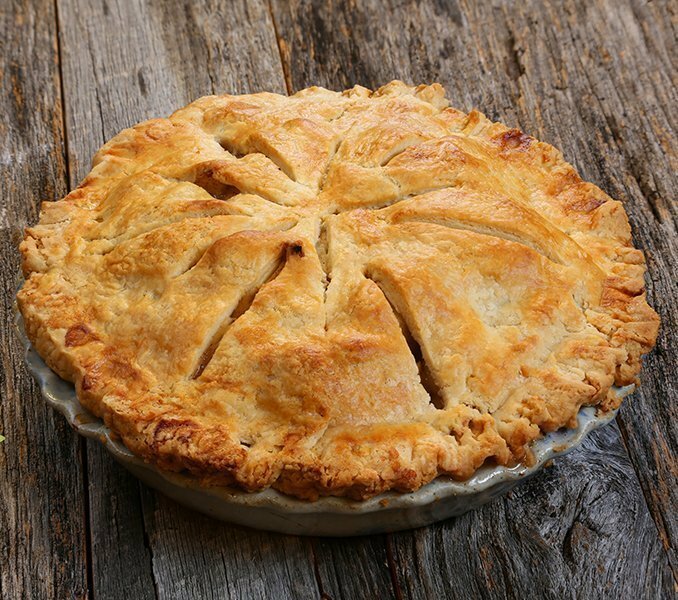 The apples you choose for your pie will have a big impact on how much sugar you need to add; if you have a very tart apple (taste it), you’ll want to add another ¼ cup of sugar. If you are in Sonoma County, California, Gravenstein apples which are widely available in August, are the hands-down best! 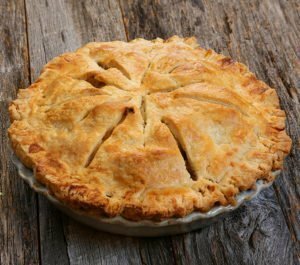 Unlike some apple pies, this recipe doesn’t add vanilla, because vanilla doesn’t mesh well with the other spices. Cinnamon, on the other hand complements lavender, cardamom and citrus very well. 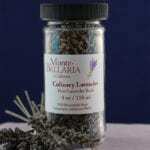 Melt 1/4 cup of butter in a small sauce pan and add 2 tsp of Lavender to steep. Let meld for 20 minutes, then strain. Add strained lavender butter to the apples, lemon zest, corn starch, cardamom, cinnamon, sugar and salt mixture and stir together. Pour mixture into a pie plate lined with the bottom crust. Seal the pie with the top crust. Pierce with a folk about six times to release steam while cooking. Sprinkle the 2 tsp of Turbinado sugar on top. Bake at 425°F, for 20 minutes. Reduce oven heat to 350°F for another 40 minutes. For a holiday style pie, add 1/2 cup of raisins and 1/2 cup of chopped walnuts. 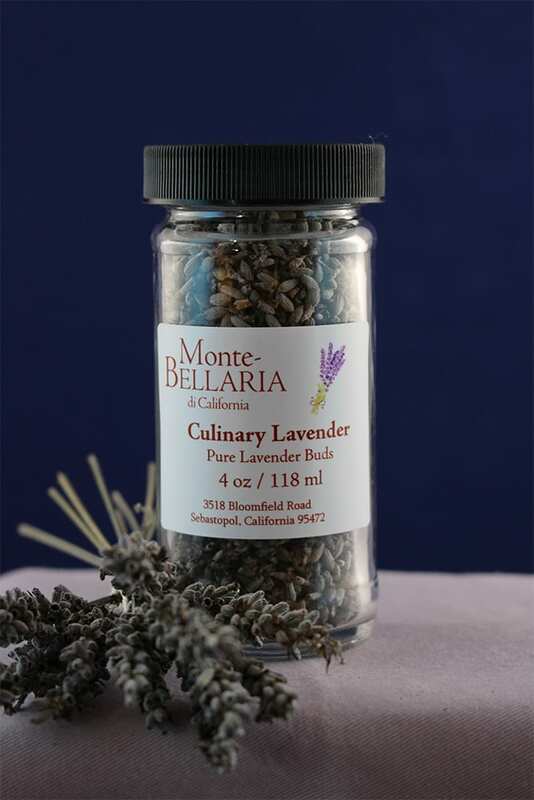 For an extra touch of lavender decadence, add a scoop of lavender ice cream!